Keep your hair in top shape with this natural, certified organic shampoo from skin blossom, enriched with essential oils that are great for your hair. The cruelty free blend is made with rosemary, bergamot, palmarosa and a citrus mix to purify, protect and moisturise the hair while removing build up to leave your hair healthy, soft and full of life. It is free from any nasty chemical ingredients like parabens and SLS. The Bentley Organic Skin Blossom Hydra Vitality Shampoo - 300ml product ethics are indicated below. To learn more about these product ethics and to see related products, follow the links below. Seems great but have only used it once currently. 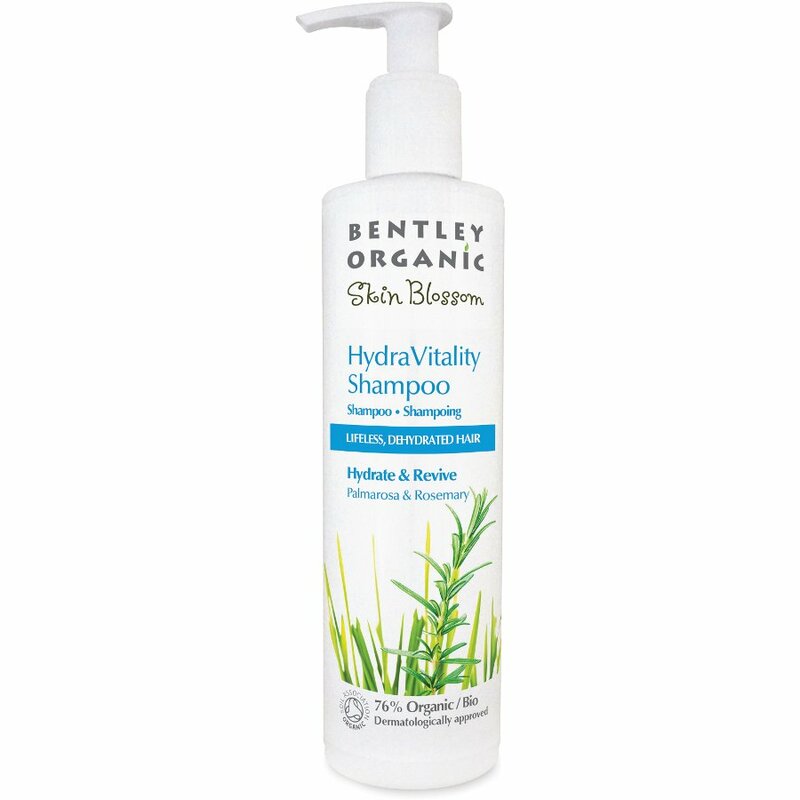 There are currently no questions to display about Bentley Organic Skin Blossom Hydra Vitality Shampoo - 300ml.